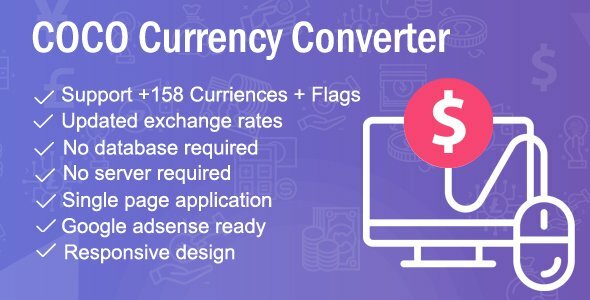 coco is a script that allow you to convert over +158 currencies in the world faster, Your website visitors can convert currencies using latest exchange rates. It is flexible customization and easily integrate in any site working on different platforms. - Adding search option to currency list to calculate and search your currency easily.